It was close in two respects. 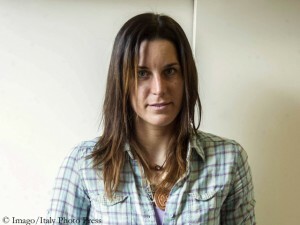 Tamara Lunger only narrowly missed the first winter ascent of Nanga Parbat, then the 29-year-old South Tyrolean just escaped with her life. Just below the 8,125-meter-high summit, Tamara exhaustedly informed her Italian teammate Simone Moro that she would be able to climb up to the highest point but would not come down without help. Shortly afterwards, she turned around. Simone, the Spaniard Alex Txikon and the Pakistani Muhammad Ali (also known as “Ali Sadpara” – called after his home village) reached the summit without her. On the descent, Lunger lost her balance after jumping across a crevasse near the highest camp. She slid around 200 meters towards the abyss until she came to hold in loose snow with good luck. Meanwhile, the climber is back home in South Tyrol. Tamara, first of all congratulations on your performance! Have you meanwhile recovered from the strains? They did it! 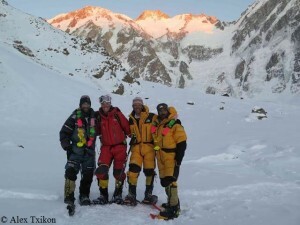 The Spaniard Alex Txikon, the Pakistani Ali Sadpara and the Italian Simone Moro have made history making the first winter ascent of Nanga Parbat. 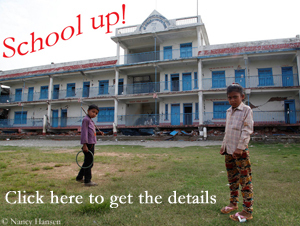 “3:37 p.m (in Pakistan). SUMMIT! We just got the confirmation by walkie: Alex Txikon, Ali Sadpara and Simone Moro have reached the top of Nanga Parbat for the first time in Winter. Tamara Lunger stopped some meters below. Will spend night in Camp 4 (7.200m) and tomorrow will be back in Base Camp”, Igune Mariezkurrena writes from Diamir Base Camp on Facebook. 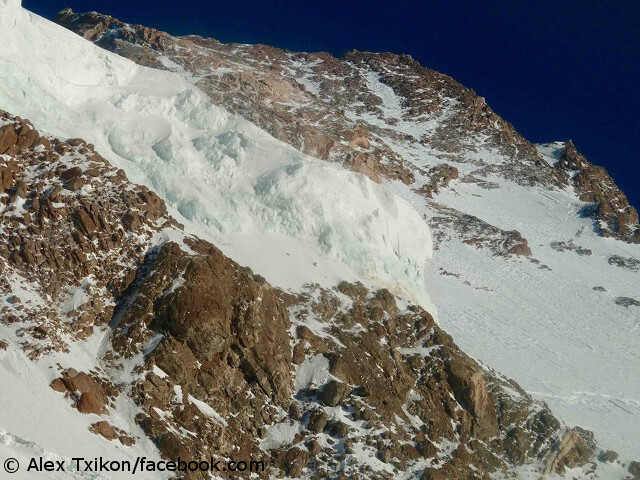 Congratulation to all climbers on this amazing performance – and a safe descent! 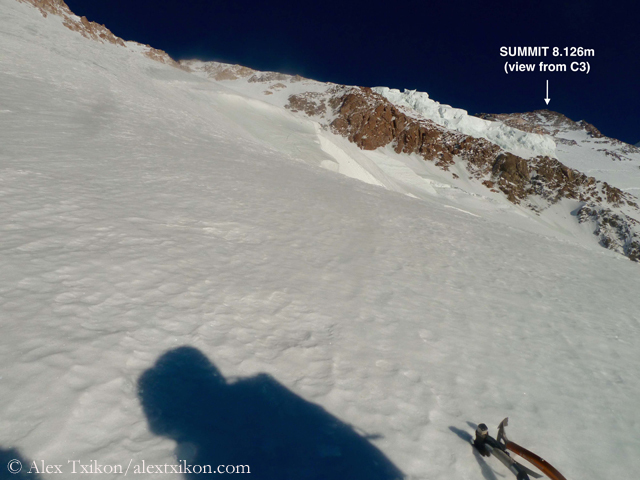 For Simone, it was already the fourth time that he first climbed an eighthousander in winter. 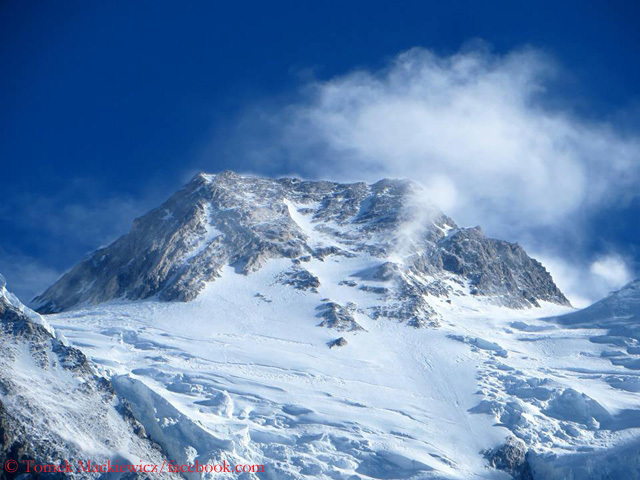 Before doing it today on Nanga Parbat, he had succeeded on Shishapangma (in 2005), Makalu (in 2009) und Gasherbrum II (in 2011). 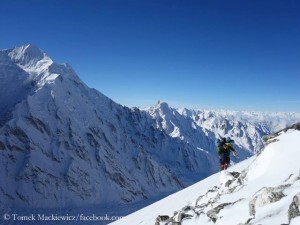 Now K 2 remains the only of the 14 eight-thousanders that has never been climbed in winter so far. 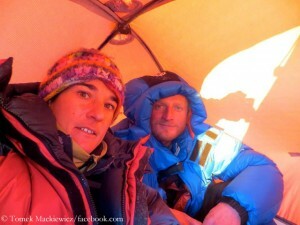 Update 16.45 MEZ: Alex, Ali, Simone and Tamara have safely arrived in Camp 4 at about 7,100 meters. Update 27.2.: All climbers are safe and sound back in Base Camp. This completes the summit success on Nanga Parbat. “Tired but very happy! Ready to go to bed and recover a bit”, is said on Tamara’s Facebook account. 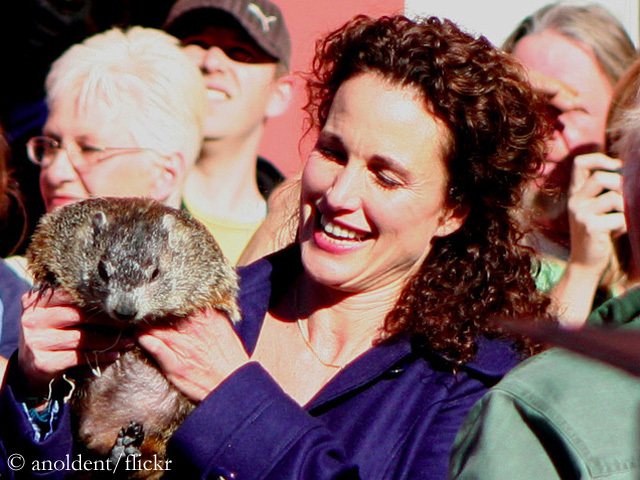 Reportedly she had turned around at about 8,000 meters. Nevertheless, well done, Tamara! A part of the summit success is yours. 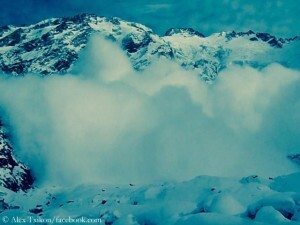 Showdown on Nanga Parbat! 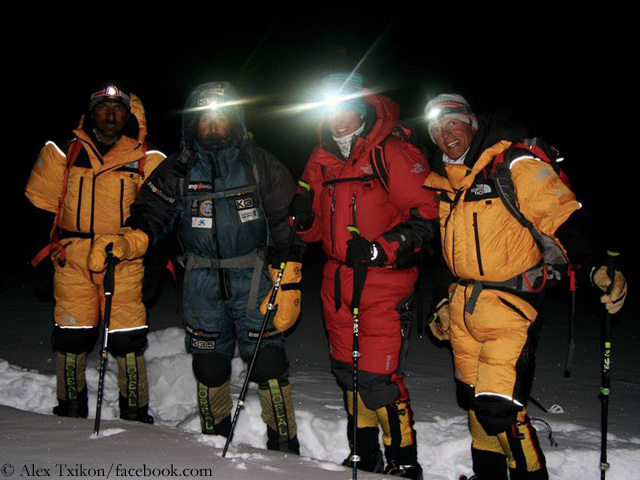 The international team on the Diamir side has reached Camp 4, around 7,100 meters high, in the Bazhin Basin. 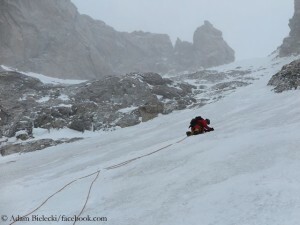 Tomorrow morning the Spaniard Alex Txikon, the Pakistani Ali Sadpara, the Italian Simone Moro and the South Tyrolean Tamara Lunger will set off for their summit push to complete the first winter ascent of the 8,125-meter-high mountain – although the wind will probably slow down only on Friday night. 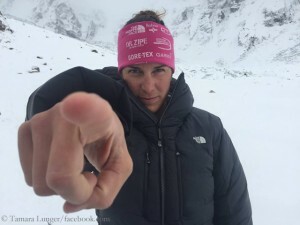 “Optimum wind conditions are expected for 26th night and will remain throughout 27th, but waiting until then would suppose to spend one ‘extra’ night in Camp 4 at above 7,000 m”, Igone Mariezkurrena reports from Base Camp. 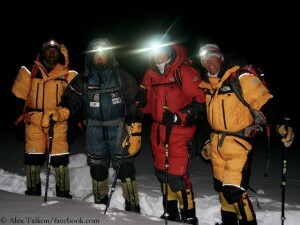 “So, although tonight and even tomorrow morning wind will blow at 35km/h and from Northwest – therefore Nanga’s summit trapeze will not protect them –, the four members have debated and decided to set out for the summit at 5:30 to 6:00 (local time), avoiding exposure to extremely low temperatures.” Godspeed and good luck! On Friday towards the summit of Nanga Parbat? The Nanga train is rolling again. 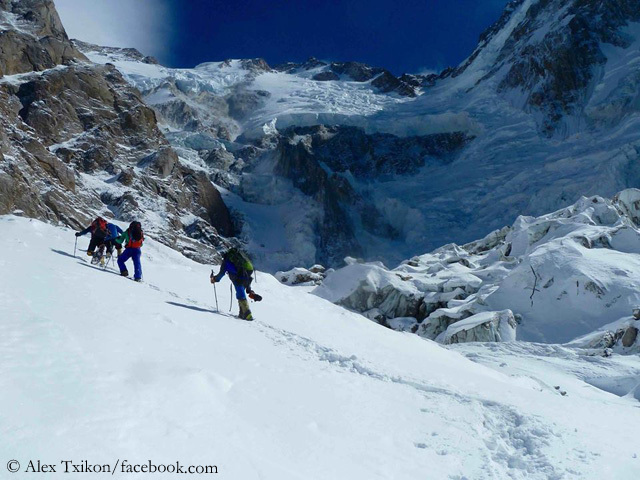 After they had been stuck in Camp 2 at 6,100 meters for a day due to strong winds, the Spaniard Alex Txikon, the Pakistani Ali Sadpara, the Italian Simone Moro and the South Tyrolean Tamara Lunger today ascended on the Kinshofer route – the normal route on the Diamir side of Nanga Parbat – to Camp 3 at 6,700 meters. 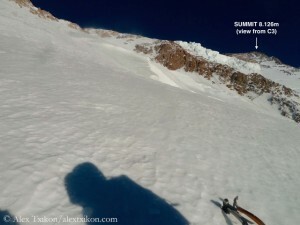 “The summit looks really close from here”, Simone radioed to Base Camp. On Thursday, the quartet wants to reach the last scheduled high camp at 7,200 meters. 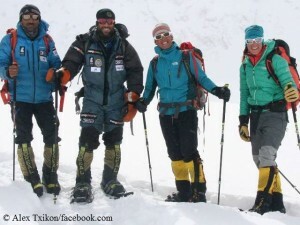 If everything matches, the four climbers plan to set off for their summit attempt on Friday. The weather window on Nanga Parbat opens. “Looks like the window is here, the good one, the definitive one”, Igone Mariezkurrena writes from the Base Camp on the Diamir side of the 8,125-meter-high mountain in Pakistan. 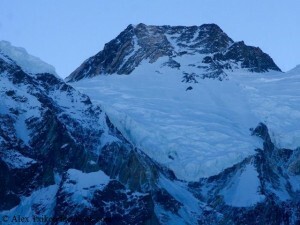 “The one that, if everything goes OK and bodies respond, can give Alex Txikon, Ali Sadpara, Simone Moro and Tamara Lunger the chance for pushing for this still unclimbed Nanga Parbat winter summit.” Early this morning the quartet set off from Base Camp and climbed on the Kinshofer route directly to Camp 2 at 6,100 meters. Reporting about what happened today on Nanga Parbat was a bitl like fishing in murky waters. I tried to make out from the wildly swirling information on the Internet where the climbers on the mountain currently were. 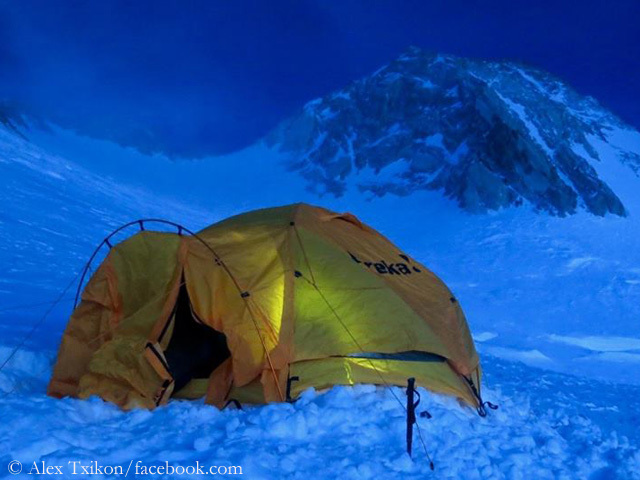 The sun has long since set in Pakistan, so I’m assuming that the mountaineers have sought protection in their tents. It is still unclear how far the Pole Tomek Mackiewicz and the Frenchwoman Elisabeth Revol have climbed up during their first summit attempt. The Pakistani Arslan Ahmed, who had joined the team but had to leave because of health problems, had contact with Tomek for the last time at 10.30 local time. The first winter ascent of Nanga Parbat is in the air – say my gut instincts. Sunny days and clear nights are expected on the eighth highest mountain on earth until the weekend. The wind is to calm down, to a speed of just ten kilometers per hour on Friday. That sounds like ideal conditions for a summit attempt – if we can still speak of it in winter at all. After all, the temperature at the 8,125-meter-high summit is about minus 40 degrees Celsius. Maybe the reason for my optimistic gut feeling is simply that the teams on Nanga Parbat are currently rather stingy with information. Almost as if they are fully focused on climbing and don’t want to be distracted by „public relations“.